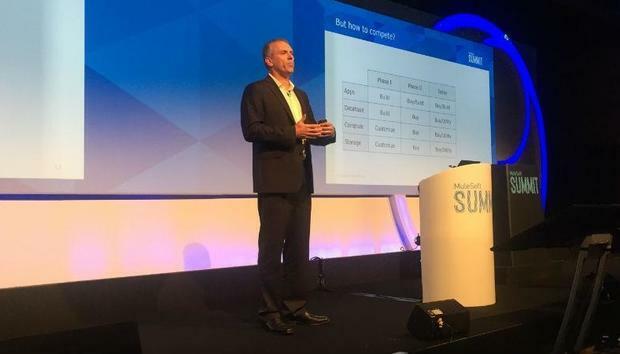 As the vendor Mulesoft looks to help customers to connect their applications, data and devices using APIs, Computerworld UK heard from confectionary giant Mars about how it is looking to leverage the software to gain better 'reusability' of its assets. Speaking on stage at the Mulesoft Summit in London this week, founder Ross Mason described the current IT landscape as a 'ball of mud'. “We’re breaking apart the monolith ball of mud with APIs, but APIs aren’t enough,” he said. “We’re shifting from individual building blocks to application networks. They’re needed because APIs don’t do much, they need this organisational structure." A key component to these application networks, where the systems within an enterprise can all talk to each other through application programming interfaces (APIs) is the ability to reuse assets. “The application network is really the capability or the construct by which we deliver that idea and the software concepts to market,” Mason told Computerworld UK. “What’s happened is IT organisations know they need to move faster and the realisation is that moving faster is not enough, you’ve actually got to get good at changing things on the flight while the aeroplane is running,” he added. Confectionary and pet food maker Mars, which began deploying Mulesoft’s service in January 2018, sees this idea of reusability as its biggest differentiator. Speaking to Computerworld UK at the summit, Amitabh Apte, global director of digital integration at Mars explained that its three core systems of product master data, branding and marketing all link into the application network to make processes run faster. “All you have to do is activate the network to get the data and a number of systems start to reuse the data over and over again,” he said. Although, it is important to realise that not all the applications will need the same data, Mulesoft has made the distribution of data throughout an organisation as smooth a process as possible for Mars. “This is where the instrumentation and the tooling kind of helps us, because this is not a new concept - API’s have been there for many years - what is helping us now is the cloud tooling, it helps you to configure however many attributes are needed,” Apte added. For instance, if a problem arises in a certain process, an API is enabled to solve it once and then automate to avoid having to revisit it continuously. Discussing the best features of the tool, Apte said: “With Mulesoft there are two things: one is the design time and the second is the run time. “So what these tools are doing is that they give you a much more sophisticated, graphical way to design that thing so you can do drag and drop, you can do free mappings and this is where the design part actually helps, because the tools are more sophisticated,” he added. Mulesoft believes the application network is more effective now than ever before as organisations are increasingly required to speed up the connection of applications, data and devices.